As work continues on replacement of the Alaskan Way Viaduct, more riders are leaving the car behind and taking Metro into downtown Seattle. 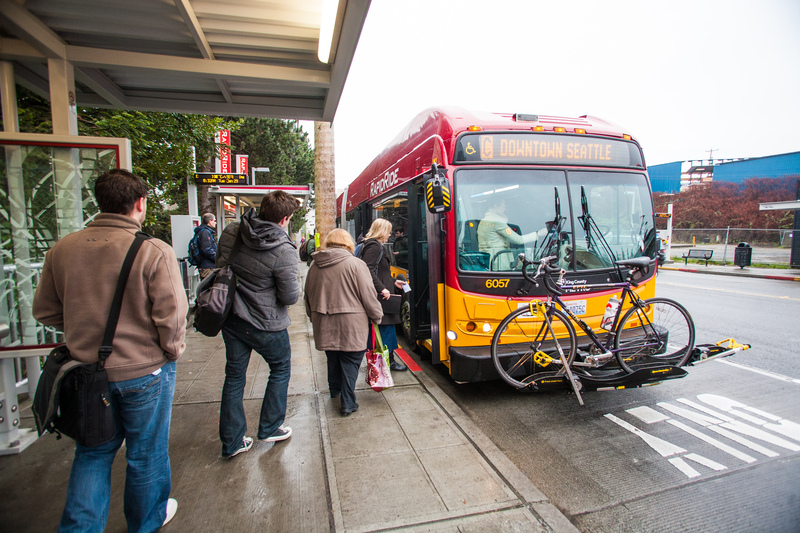 With funding from the state to offset the transportation impacts of viaduct replacement, we’re seeing nearly 17,000 new daily riders – that’s a 22 percent increase in ridership. With more people boarding buses, SR 99 is also less congested. The added service we’ve put in place has led to a 23 percent decline in average daily traffic on the viaduct! Unfortunately, the very transit improvements that have kept people moving during viaduct construction face an uncertain future. State mitigation funds run out in June of 2014 – well before work is completed on the tunnel and waterfront improvements. The result will be a loss of 120 to 130 daily bus trips and the elimination of 7,500 daily transit seats in the SR 99 corridor. The ripple effects of traffic slowdowns will be felt throughout the region as vehicles divert to Interstate 5 and other arterials to avoid construction delays. Metro General Manager Kevin Desmond talks about the challenges that lie ahead in keeping Seattle moving in his most recent e-newsletter. Kevin also briefed Seattle City Council members on Feb. 4 about the need to maintain service during viaduct construction and waterfront improvements. You can also learn more by visiting our website. Stay informed — sign up for Metro Matters email list. How can mitigation funds expire before the project completes? That makes no sense and makes a mockery of the concept of mitigation.